If you know me, ya know I love pretty much all the holidays. I usually use them as an excuse to go crazy in the kitchen. Easter was no exception this year! 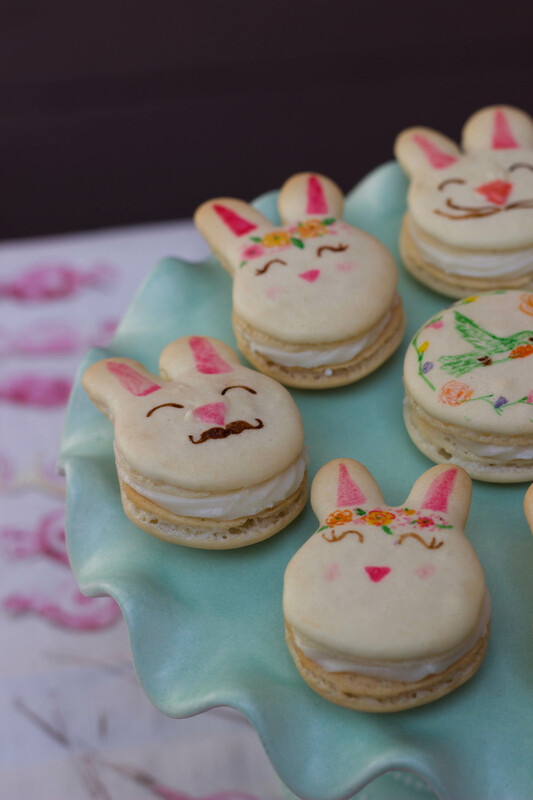 These little eggs and bunnies were something I wanted to try for the past few years, and I finally got up the courage. 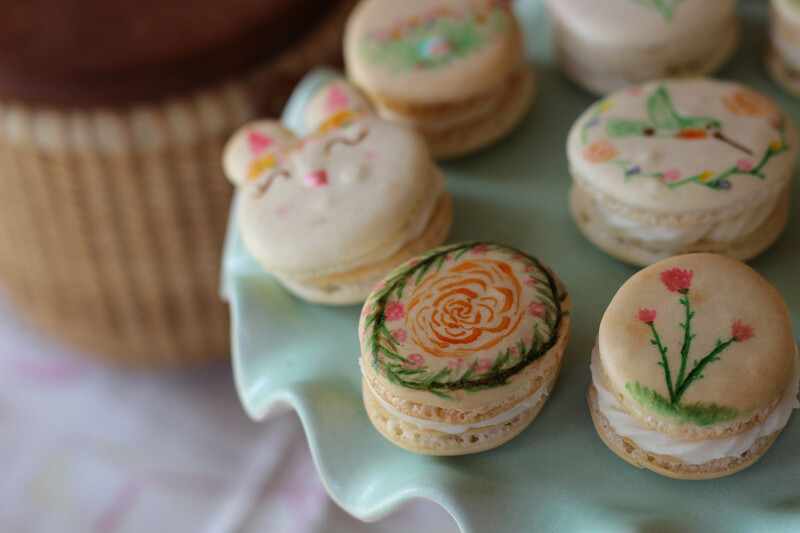 I’ve been making macarons for a while now, and I still get a little nervous each time. 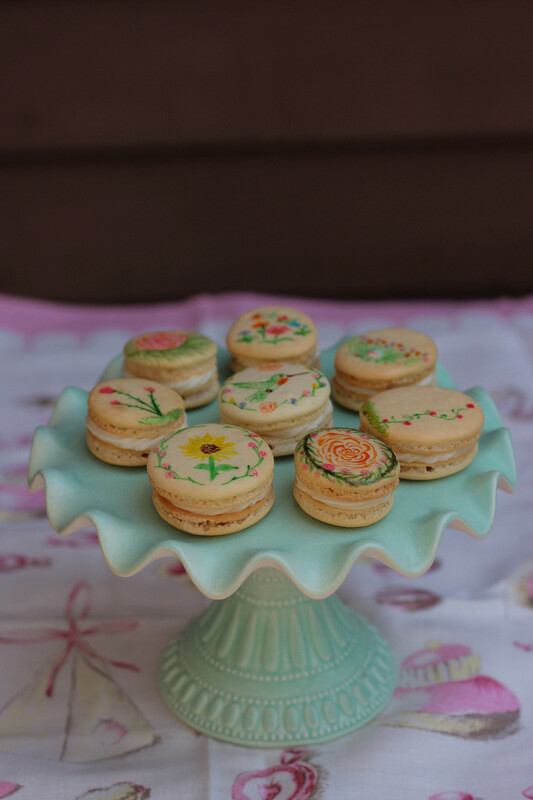 French Macarons are pretty intensive and definitely finicky. If this is your first time making macs, I’d recommend just keeping it simple and sticking with round ones to begin with. Once you’ve learned the process, then it’s fun to branch out and try something a little risky! A lot can go wrong with these ‘lil cookies. BUT when you’re successful, it’s so darn satisfying. 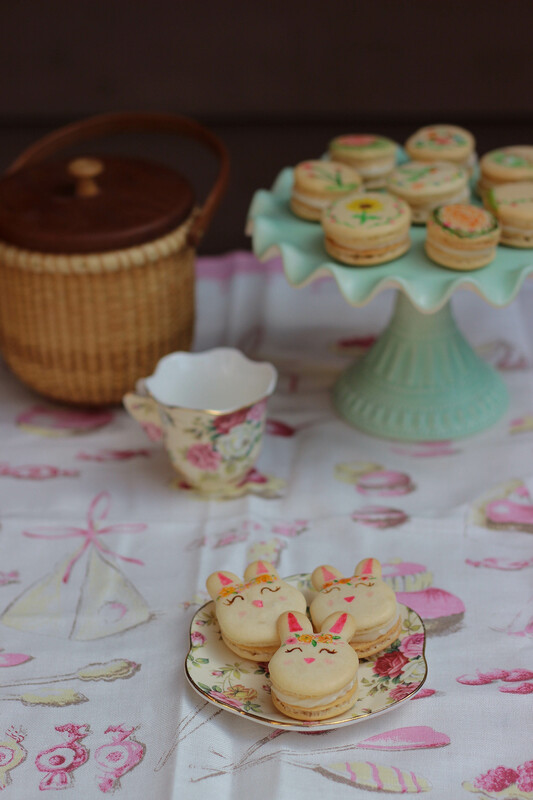 If you remember, I’ve posted these Earl Grey beauties that remind me of robin’s eggs, and these little hearts perfect for Valentine’s. There were these tasty Chocolate macs too! And then more recently these Fall inspired pumpkin cuties. Obviously, there’s so much you can do with macs!! These babies are filled with a luscious lemon curd and tasty cream cheese frosting. So yummy. 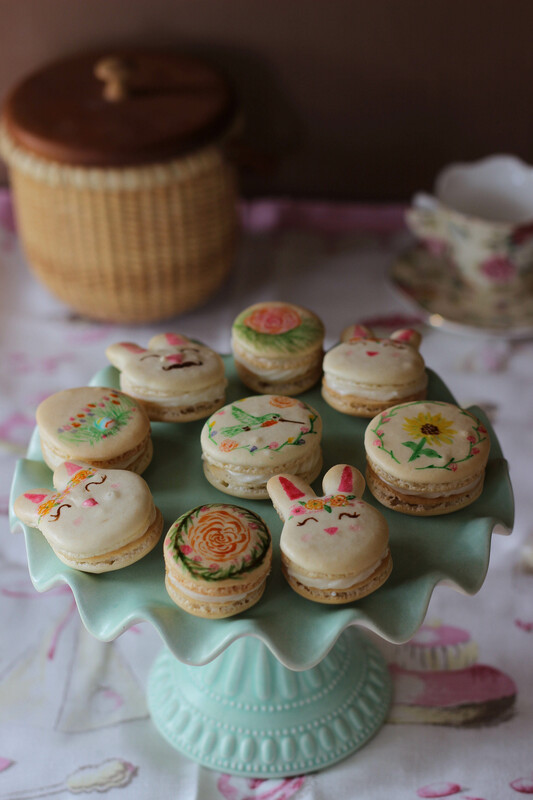 I kept the shells plain so that we could decorate them. I had my boyfriend Nevin help me! So much fun. You can get really creative with it! I think this might have to become a new Easter tradition. 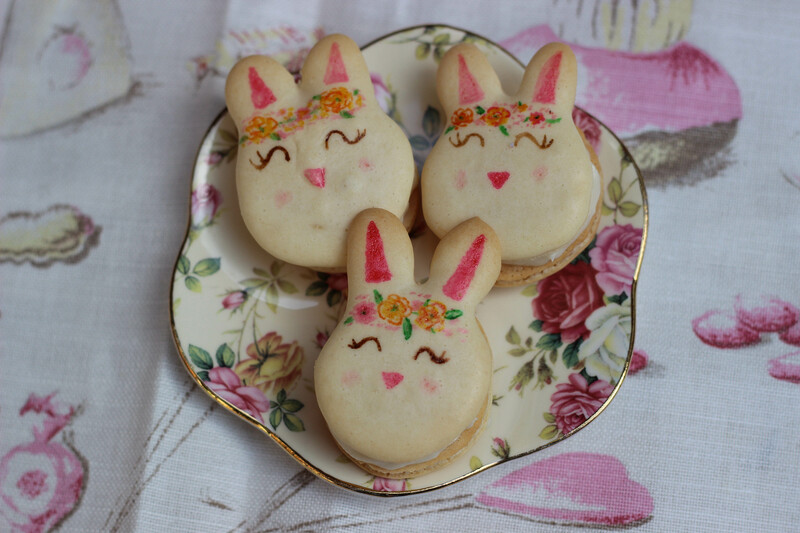 Instead of dying real eggs we’ll just make these babes. Insert all the heart eye emojis now! Prepare three baking sheets with parchment. Depending on what design you want them to be, you can use a template to guide yourself. I printed out a template for the bunnies and eggs, and traced them on my parchment (then pipe on the reverse side). Sift together the almond flour and powdered sugar into a bowl. In the bowl of your stand mixer fixed with the whisk attachment, beat the egg whites on medium-high until they are foamy. Slowly add the meringue powder while mixing, and beat until they reach medium-stiff peaks. Fold in the dry mix in three additions with a rubber spatula, being very careful not to over mix it. Your batter should be shiny and smooth, and when you lift the spatula and let some batter drop back down, it should fold back into itself after a few moments. There are tutorial videos on YouTube that show this process if you’re unsure of how far to take it. Transfer to a piping bag fitted with a plain tip. 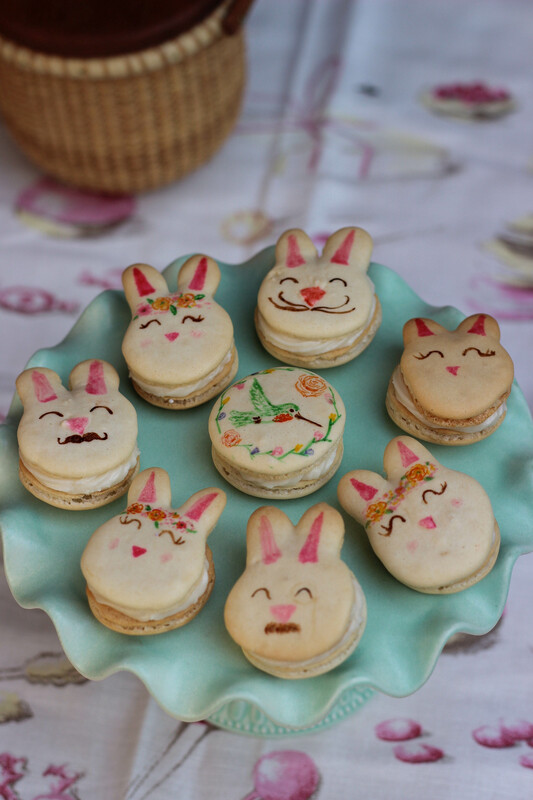 Line a baking sheet with parchment and pipe into oval and bunny shapes at least an inch apart. 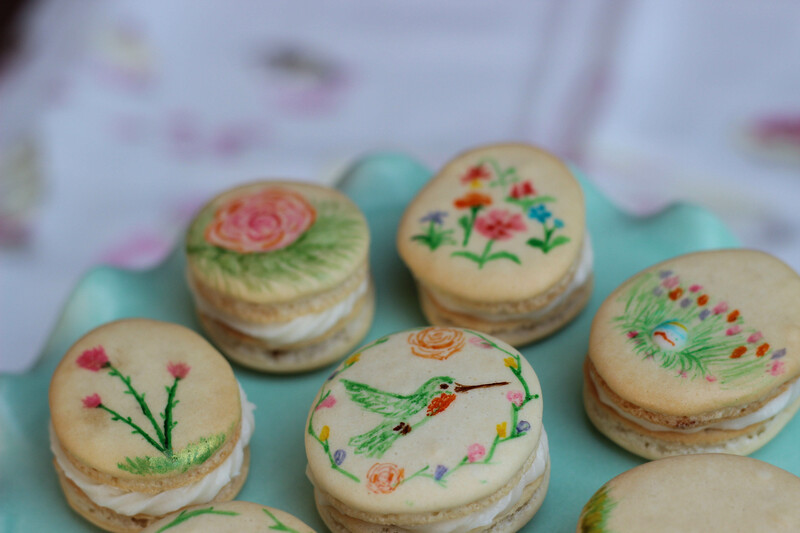 Allow your macarons to dry out for at least half an hour (may take up to an hour) so that they are no longer tacky to the touch. While they are drying out, make your fillings (see below). Preheat the oven to 295 degrees. Bake for about 13 minutes, rotating half way through. Allow to cool entirely before removing them from the parchment. Whisk together egg and sugar in a small saucepan. Cook over medium heat until the sugar dissolves (stirring constantly with a heat proof spatula so it doesn’t curdle). Add the lemon juice and butter, and cook on medium stirring constantly until it has thickened (about 3 minutes). Run through a mesh strainer, then cover with a layer of plastic wrap to prevent a skin from forming. In a stand mixer, beat the butter and cream cheese until light and fluffy. Slowly add the powdered sugar until fully incorporated. Add in the vanilla, and if necessary add a little milk or extra powdered sugar to get to desired consistency. 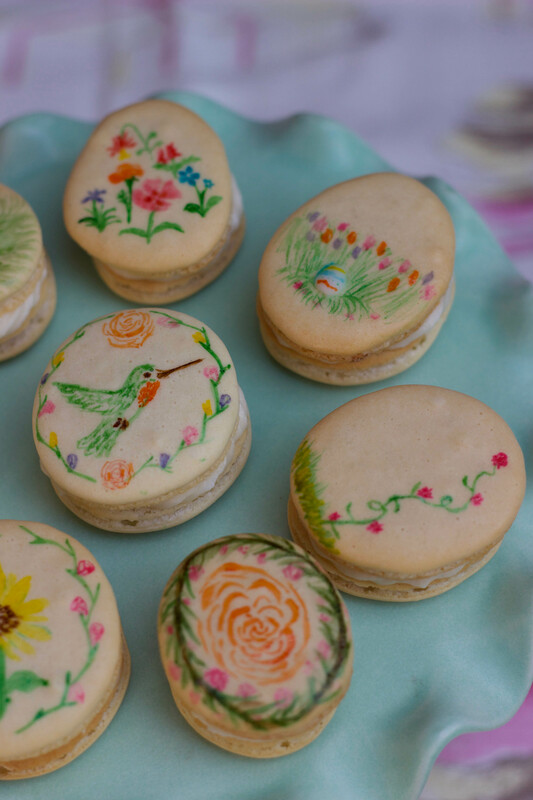 Go through the macarons and find their matches. 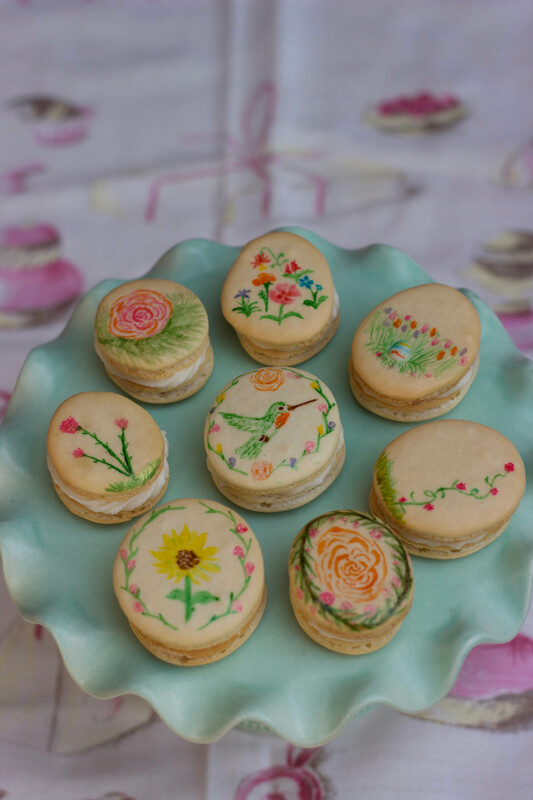 Use the gel food dyes to create watercolor paints to decorate to your heart’s delight! Allow your decorations to dry before filling. Pipe a ring of buttercream around the bottom shell as a well, and add the lemon curd in the center. Sandwich together. Keep in the refrigerator until serving (as the filling is best when chilled). Aren’t they just so much fun? I loved this project. 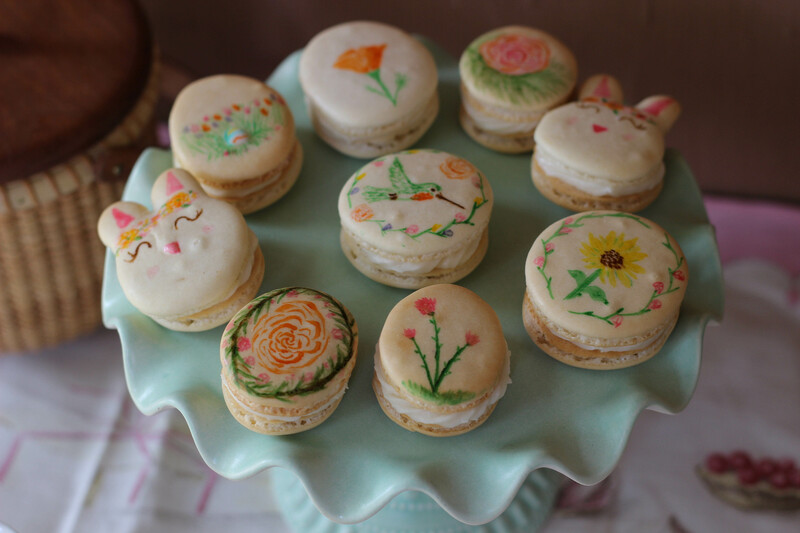 There are so many beautiful photos of macarons out there in the world to help inspire you! 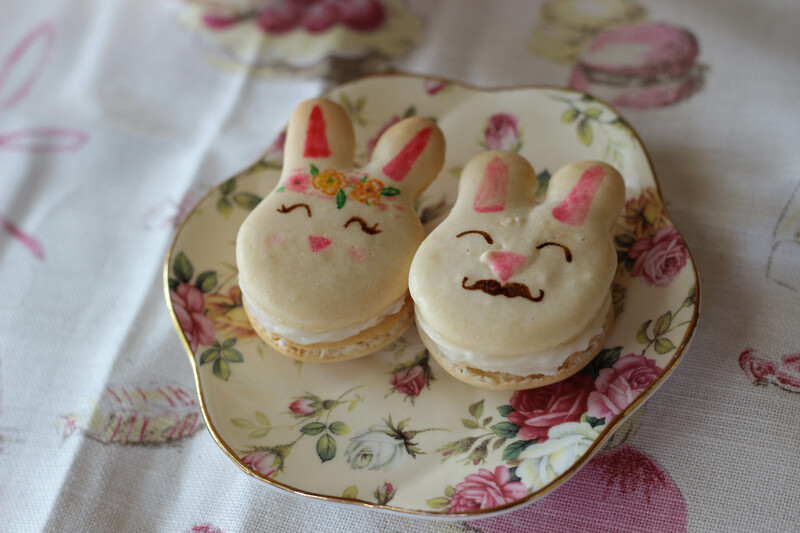 Don’t love the bunnies or eggs? 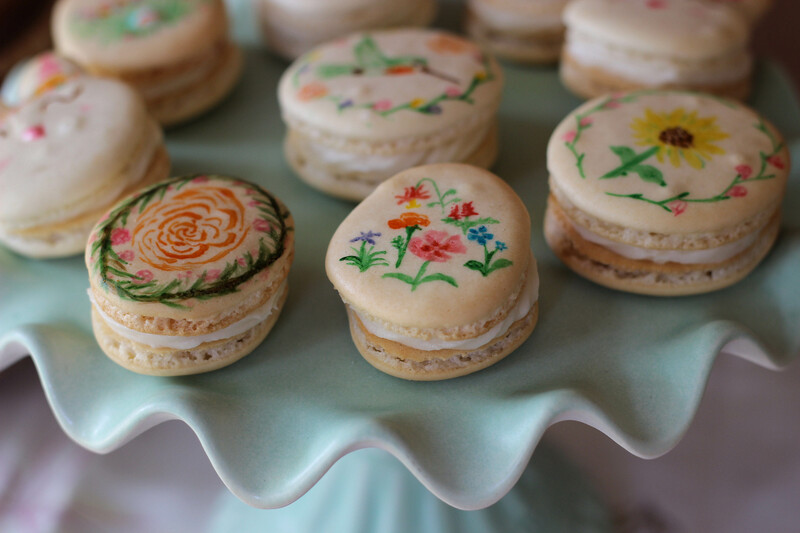 Just make round macs and you can dye the batter, or you can still decorate them. But really, who wouldn’t like these cuties? These are stunning ! You are so talented !